Gavin has been working on the final details of the back porch the last few weeks. And it’s almost completely done. 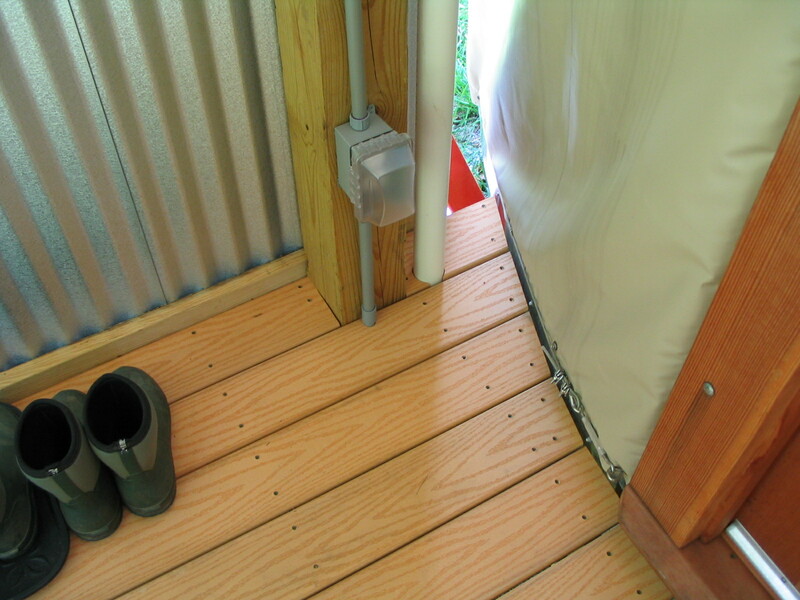 This is what it looks like underneath the yurt. It used to be a muddy hole filled with pipes, remember? 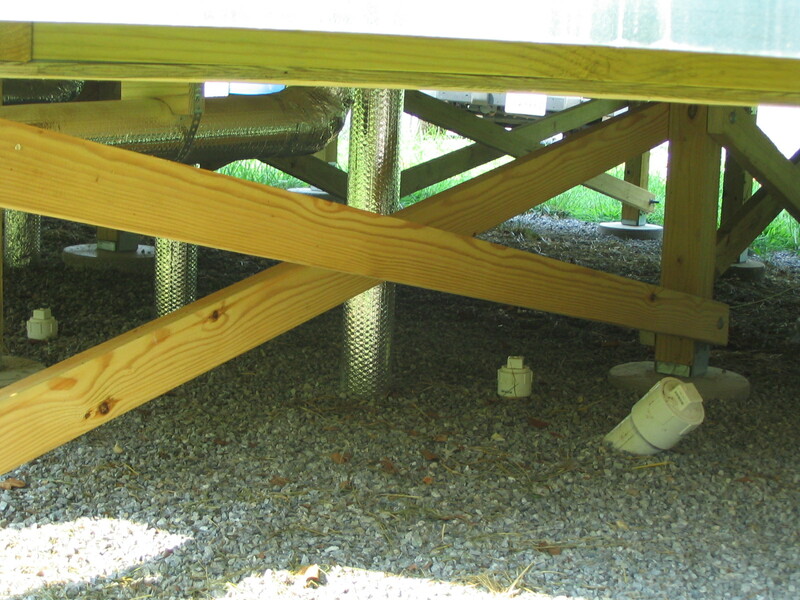 We had been waiting for the porch to be completed so Gavin could attach the plumbing vent to the porch structure. Now the hole is filled in and covered with gravel. 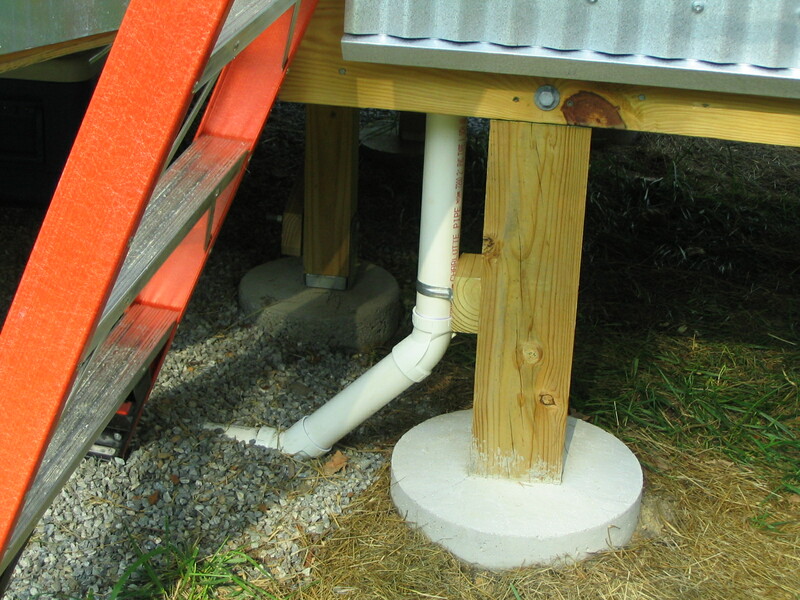 Here is the plumbing vent coming out of the ground and attaching to the porch structure. 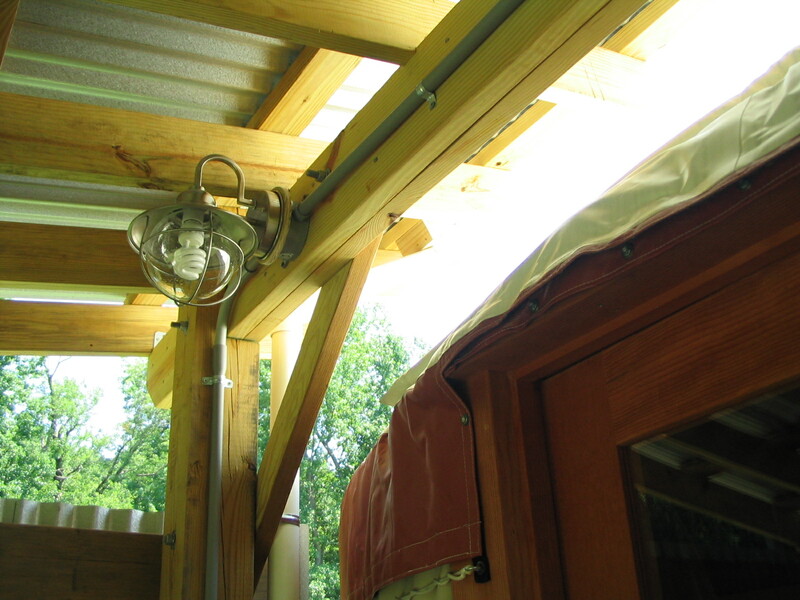 And here it is going all the way up and venting above the porch roof. 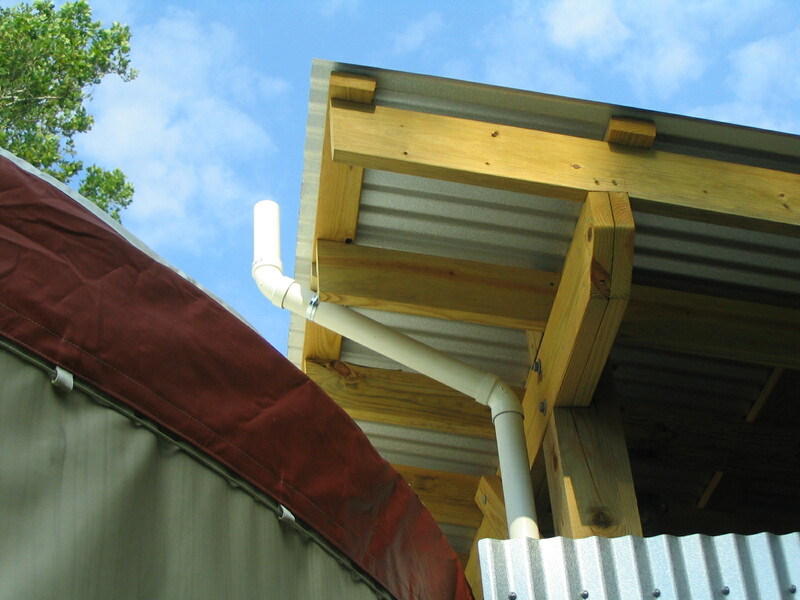 In a stick-built home plumbing is vented through the roof; but since our roof is made of a thin, flexible membrane it is not a good idea to poke holes in it. This is the view from the porch of the outdoor outlet Gavin just put in and the plumbing vent. It’s pretty unobtrusive. 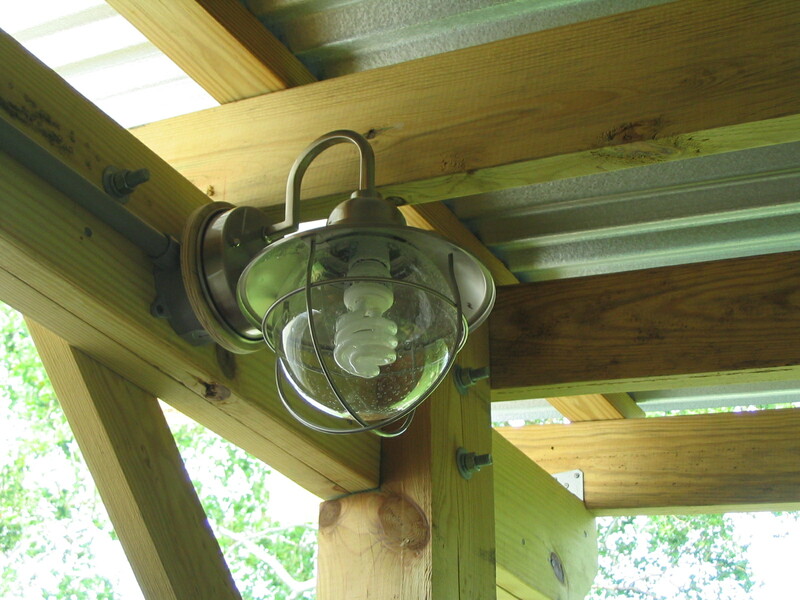 Here’s one of our porch lights. And the one on the other side, above the door. 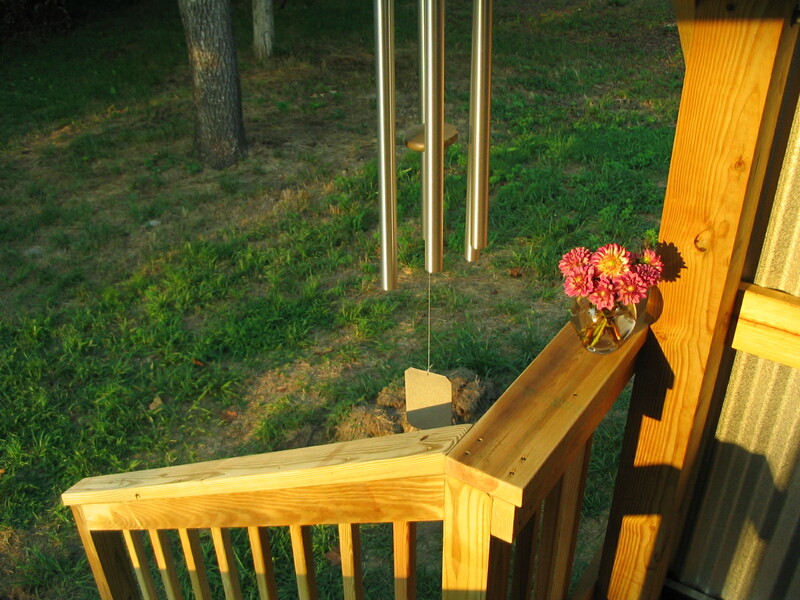 Gavin finished the railing on one side of the stairs, and we hung our new wind chimes and a thermometer. We are settling in here! See the dahlias; they are starting to look pretty again, now that the pest pressures are subsiding. What’s left are the rungs on the other side of the railing, which won’t take long. Then this porch project will be done! Gavin is taking a few weeks off before starting the front porch. 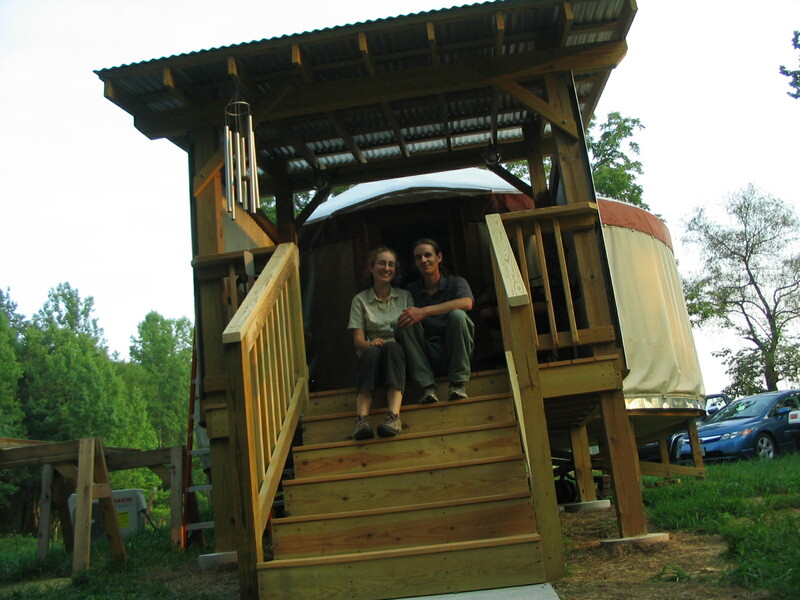 We have a lot of work to do on the garden, and he will be spending some time on the interior of the yurt: cabinets, maybe the bed platform. It will be a nice change of pace for him!